WHEN she was 11, Meghan Markle wrote various letters complaining that an ad was sexist because it implied women “belonged in the kitchen”. The recipients of the letter included the company advertised in the ad, Hillary Clinton, lawyer Gloria Allred and news journalist Linda Ellerbee. Meghan was delighted to receive a reply from Hillary, Gloria and Linda and the ad was subsequently changed. That success as a young activist fuelled an interest in campaigning which has survived to this day. Meghan has long been a champion for human rights and a fighter against injustice. She has been a UN ambassador for Gender Equality and Empowerment of Women and a supporter of World Vision’s Clear Water Campaign. That was in her spare time. Before she met Prince Harry, she was a star in her own right. Thanks to her role as Rachel Zane in legal drama Suits, she’s well used to the limelight, especially in America and Canada. She’s also appeared in General Hospital, the movie Horrible Bosses and she was a hostess on the American version of Deal or no Deal. She ran a lifestyle and beauty website, The Tig, and had more than a million followers on social media. Then there was her short-lived marriage to film producer Trevor Engelson. They married in the autumn of 2011, but were divorced just two years later. He has refused to give any interviews so far. But rumours in the showbusiness world suggest he is making a TV show about a man whose girlfriend leaves him for a prince. Meghan Markle certainly wasn’t sitting around waiting for her prince to come. She’s packed a lot into her 36 years. Before her glamorous showbiz life beckoned, she worked as an intern for the American Embassy in Buenos Aires and was caught up in a riot. If the royals – often accused of being stuffy and behind the times – wanted someone who knew her own mind and lived life to the full, they couldn’t have picked a better bride for Harry. She’s always had a bit of attitude. Whether that will remain now that she’s a fully paid-up member of “the Firm” is yet to be established. So who is the Meghan behind the headlines? Her first name is actually Rachel. It wasn’t until she became an actress that she chose to go by her middle name of Meghan. She’s an American west coast girl through and through. That yoga-loving lifestyle shows her mum Doria Ragland’s influence. She is a social worker and yoga instructor and Meghan refers to her as her best friend. Prince Harry is said to get along famously with her. Dad Thomas, the man at the centre of so much controversy before yesterday, was an award-winning lighting director. 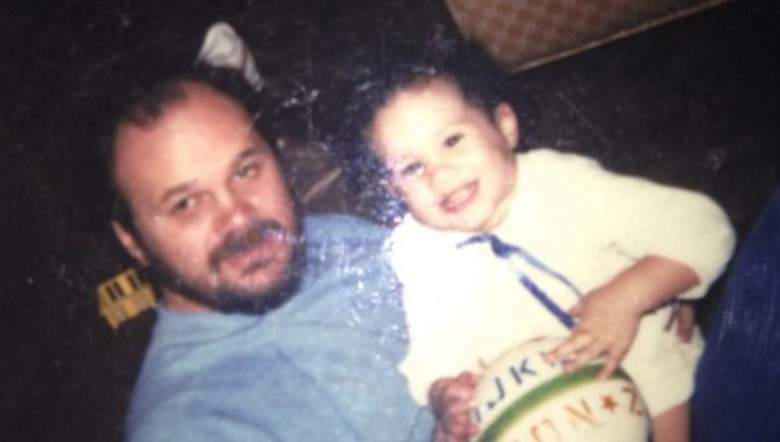 Although Meghan spent most of her childhood with Doria, she remained close to dad – and picked up a few tips from him along the way. She knows about lighting a photograph or film set. And if film crews don’t get Meghan lit to her best advantage, Thomas will phone her to advise. Meghan’s childhood was a world away from Harry’s. Thomas worked on a soap opera, Married With Children. He met Doria when she was a temp at the studio. The couple divorced when Meghan was six and she lived with Doria. Meghan’s childhood was happy. Her parents instilled confidence in her and encouraged her to embrace both sides of her racial identity. She even had a customised family of Barbie dolls, with a black mother and white father. Thomas was particularly keen for her to be proud of who she is. During a census Meghan had to complete in school, she had to tick a box to indicate ethnicity – white, black, Hispanic or Asian. Meghan admits that to this day she lives her life by Thomas’s advice. The Markle family set-up is complicated. Meghan’s half-brother Thomas has had a tricky relationship with his famous sister. He even wrote a letter, published by In Touch magazine, telling Harry it wasn’t too late to call off the wedding. Half-sister Samantha Grant announced she would be publishing a book, The Diary Of Princess Pushy’s Sister. She later backtracked, changed the title and admitted she longed for an invitation to the wedding. Luckily, Meghan has a wide circle of close friends. Maybe she learned the value of female friendships during her six years at an all-girls Catholic school. “Just picture me with my curly hair, a gap between my teeth and my little school uniform,” she once said. These days, Serena Williams, stylist Jessica Mulroney, old pal Lindsay Jill Roth and Suits stars Sarah Rafferty and Gina Torres are all on speed dial. Those chums will surely be invaluable as she navigates her new role and the restrictions it will inevitably place upon her. Her social media accounts and website have long since been shut down. Royal protocol will now have to be followed. But royal watchers are predicting that Meghan will continue to campaign and raise awareness for issues she is passionate about. She has already said she would like to empower women to speak up about issues affecting them. She’s mentioned both the #metoo and #timesup campaigns. While she didn’t endorse them, even giving them a mention could be seen to be a move away from royal protocol. It’s hard to imagine the Duchess of Cambridge mentioning even anything vaguely controversial. Whether she can continue to campaign around issues with potential to divide remains a mystery. Living in the royal bubble is all a long way from her life in Toronto. Until her romance with Harry became more serious, Meghan lived a relatively low-key lifestyle in the city thanks to her role in Suits. She stayed in Canada for seven years. There she was considered “Toronto royalty”. She’d hang out at the private Soho House club, go to trendy hot yoga classes and have facials at W Skincare. Meghan has always loved sun-kissed holidays, too and, while she has been to Botswana and Jamaica with Harry, she recently took a break to Positano in Italy with Jessica Mulroney. She’s been biking around Vietnam and drove through New Zealand in a camper van. How she will feel about chilly days in a windswept Balmoral is anyone’s guess. 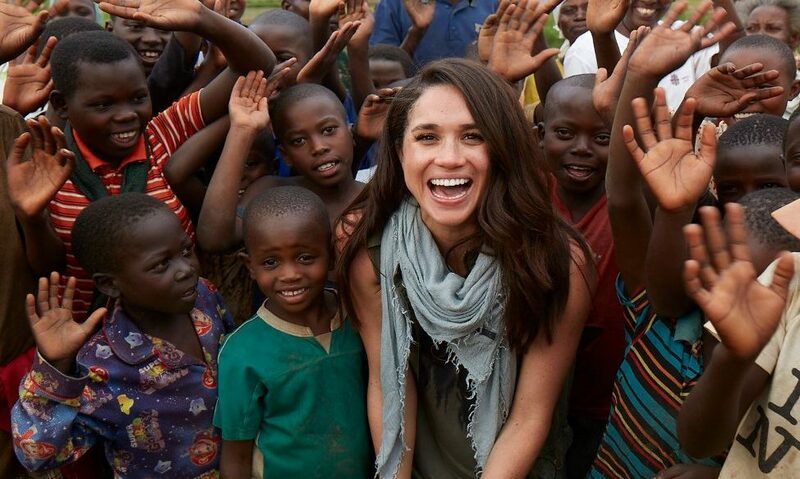 Meghan achieved a huge amount in her life before she met Harry. Her life now has changed forever. Watching her relationship with Harry and the British public develop is sure to be fascinating over the years. Watch this space.